With Heart Scan ... Digital Truth™ each session begins with covenant to tell the truth. 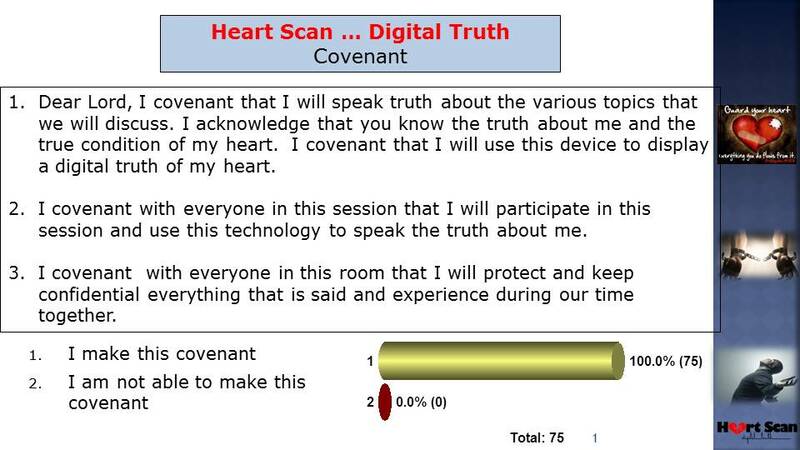 With Heart Scan ... Digital Truth™ each session begins with covenant to tell the truth. Heart Scan ... Digital Truth is a 100% anonymous keypad system that records the responses of the users in real-time. We covenant with God and the other users to share our personal truth or belief about the matter being discussed. Our covenant reminds us that God knows the truth and the condition of our heart; our actions and responses are recorded digitally holding each individual accountable to display the contents within our hearts.